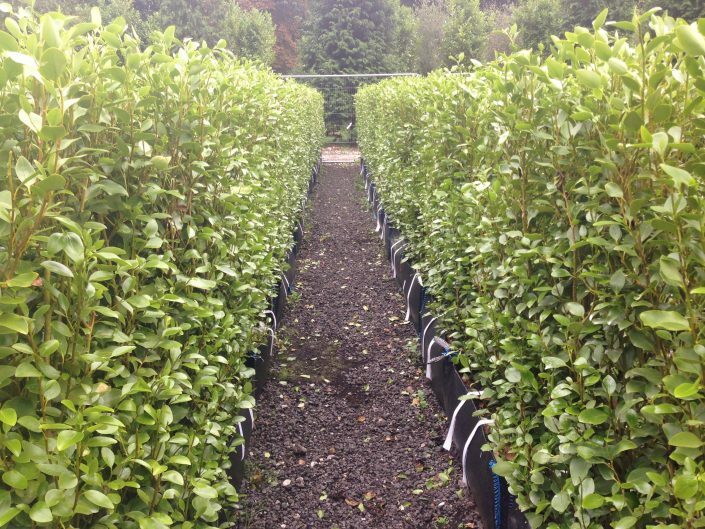 Griselinia littoralis makes a wonderful evergreen instant hedge. It is also known as Broadleaf or New Zealand Broadleaf. Griselinia has leathery leaves which are an attractive light apple-green with inconspicuous yellow-green flowers in the spring followed by purple fruits on female plants in the Autumn. Currently available at 1.4/1.5m and 1.8/2m high as trough grown Practical Instant Hedge™. 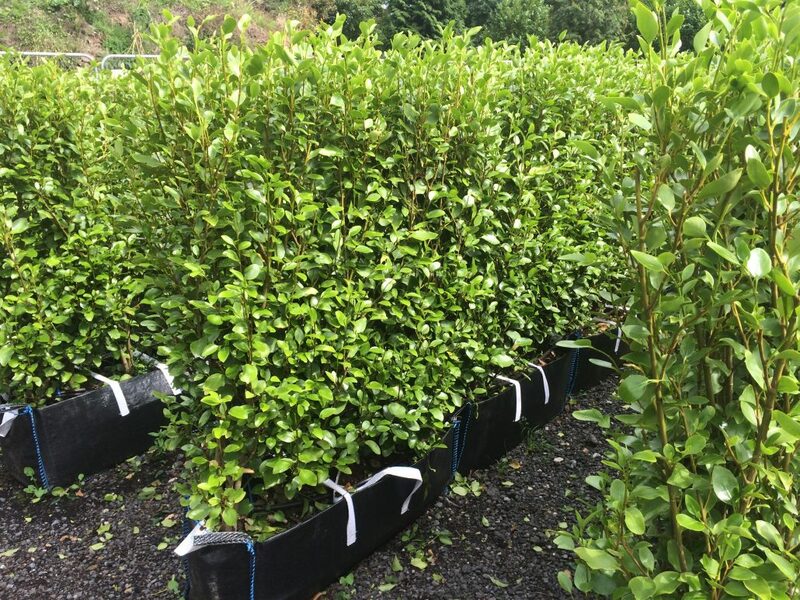 This hedging plant is excellent for coastal locations as it is particularly tolerant of salt laden winds – indeed the ‘littoralis’ translates as ‘growing by the sea’. 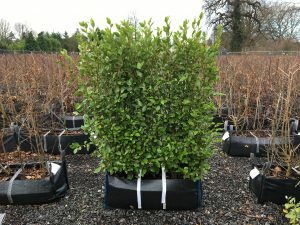 Broadleaf instant hedging prefers acidic to slightly alkaline soil in either full sun or part shade. It is sensitive to a heavy frost so should be planted in a sheltered place although any damaged shoots can be pruned out and will regrow. 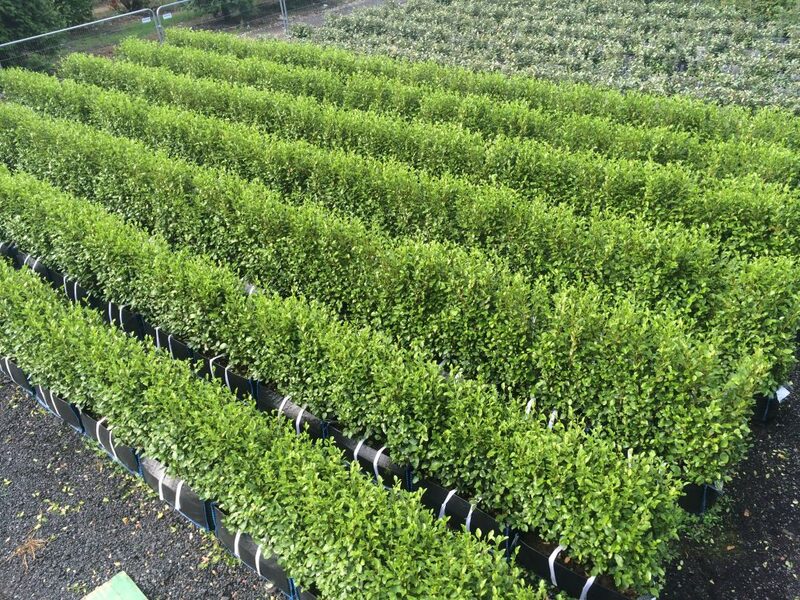 It is therefore typically used as a hedge or evergreen screen in southern coastal locations but also does well in warmer inland areas. 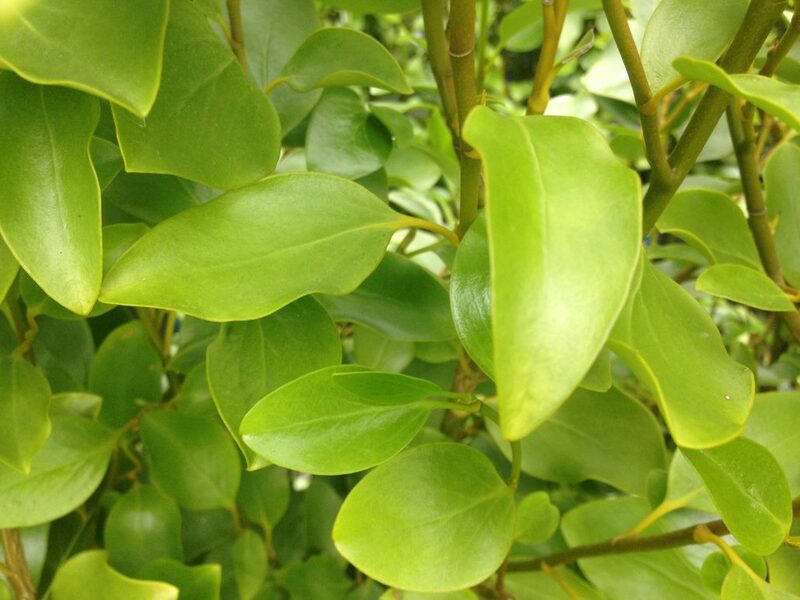 Griselinia is fast growing (30 – 40 cm/year) and should be trimmed at least once a year, in July or August.